The final result of Combined Graduate Level (CGL) has been declared which was due to be announced on Friday at 6 pm. Staff Selection Commission (SSC) has released the result on ssc.nic.in. Candidates who appeared for the SSC CGL 2016 Tier 3 can follow 5 simple steps to check their results. Step 2: Click on the link ‘Results’. Step 3: Click on the link “Declaration of Result of Combined Graduate Level (Tier 3) Examination. Step 4: Check for your roll number/name in the list. The Staff Selection Commission holds examination for Staff Selection Commission – Combined Graduate Level Examination (SSC CGL), to recruit staff for various posts in ministries, departments and organisations of the Government of India. The commission will also publish an All India Merit List for each category of post. As per the number of vacancies available, the appointment of the qualified candidates to the category of posts will be decided. 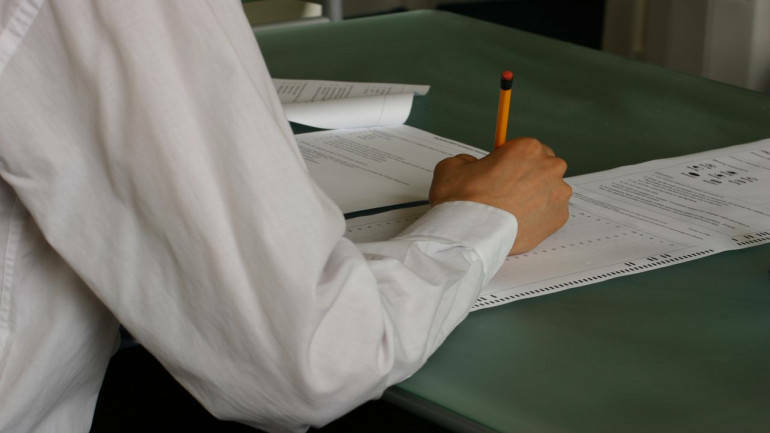 The Merit List is prepared on the basis of the marks obtained by the candidates in the written examination and the options given by the candidates during documents verification process. As per the notification, the option/preference once given by the candidates may be treated as Final and Irreversible. The candidates have to qualify in Tier 1, 2 and 3 examinations in order to be in the final merit list for SSC. Successful candidates are then eligible to attend the Tier 4 examination i.e. Data Entry Skill Test (DEST)/ Computer Proficiency Test (CPT). All candidates have to be present for the document verification process and have to furnish original documents for verification.